As we become older there is a tendency to lose muscle strength, mobility and balance. The effects of osteoporosis can also cause problems within the spine and of certain joints. 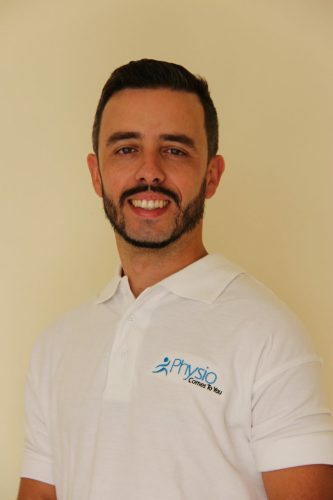 Our physiotherapists are trained in creating programmes which will help to improve your strength, mobility and balance. As a result you will be less at risk of falling. They can come to you at home, care home, nursing home or in hospital. Occupational therapists can also assess your home environment to make any difficult daily activities easier. Following a fracture or period in hospital our,therapists can see you at your home, care home, nursing home or in hospital to help you get going again as soon as possible. Why is physiotherapy important for the older person? The remarkable increase in longevity means that it is important more than ever to keep as good a quality of life for as long as possible. Physiotherapists are one of the health team that can help with keeping your quality of life. They can help keep people moving, preventing loss of strength, improving balance therefore reducing risk of falls and subsequent injuries / fractures. When people are unwell or hurt themselves they can quickly become immobile and physiotherapists are essential to getting you back on your feet and going again as quickly as possible. Who would benefit from older person physiotherapy? What is involved in rehab of the older person? It depends on your requirements but the rehab is likely to include one of or a combination of massage, manual therapy, exercises, advice, mobility practice, walking aid recommendations and acupuncture.